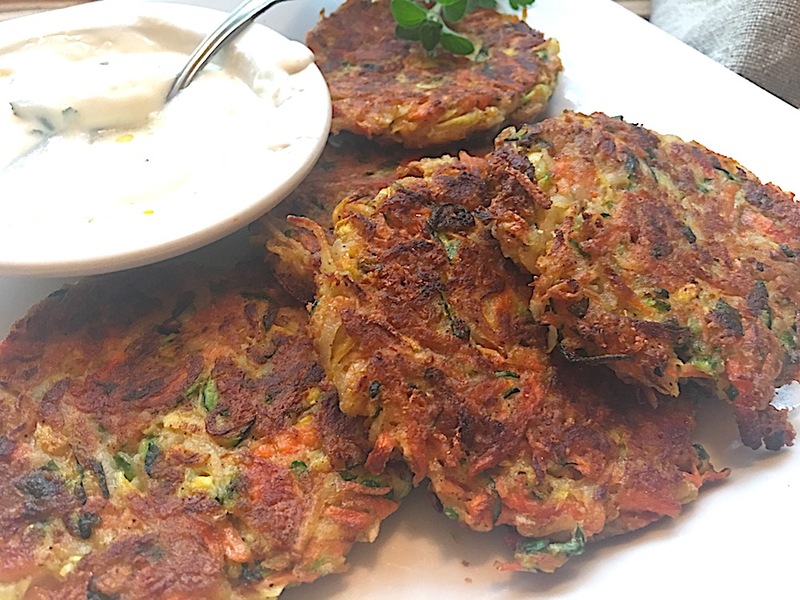 Every summer, growing up, when zucchini were harvested from my backyard garden, my mother used to make zucchini fritters. For me fritters were one of the delights coming out of the summer kitchen that to this day still conjures up the best memories. I continued that practice myself when I too was a mother and had my own summer garden. 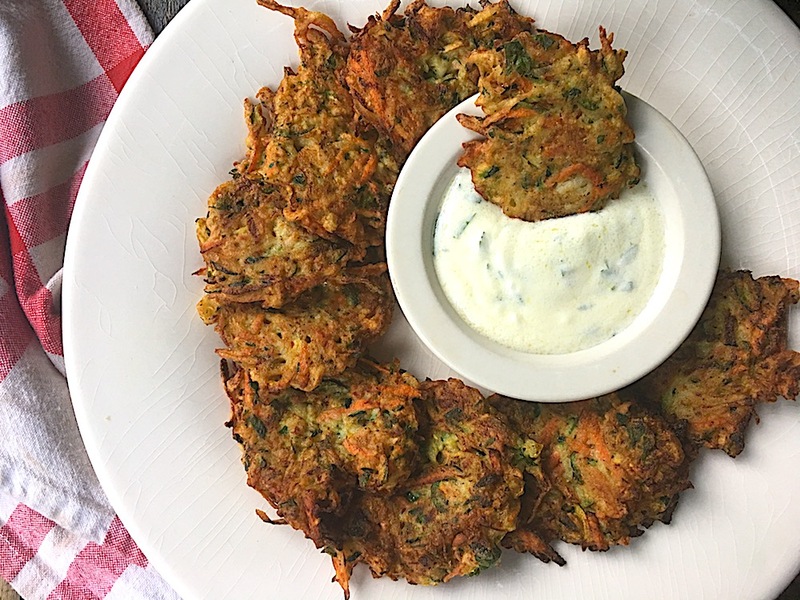 The other day while visiting my son, who now has a family of his own…I made a batch of fritters, varied a bit to include potatoes and carrots and served them with a yogurt/sour cream/herb dip…but they really didn’t need anything at all! 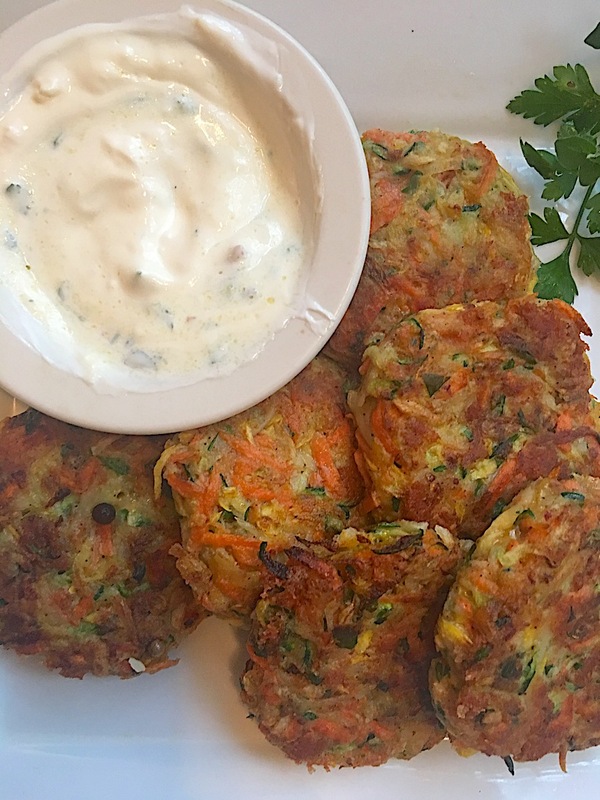 Enjoy these zucchini, carrot, potato fritters at your family table. I’m sure when you do, you’ll want to make them (or your version) again and again. 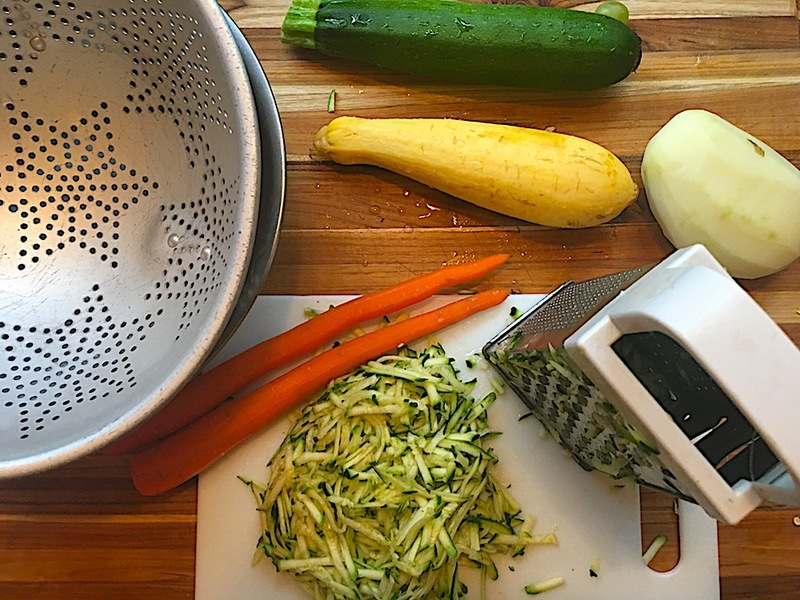 Shed the zucchini with a box grater. Add it to a colander. Salt it and let it sit for at least 10 minutes. Place it in a cheese cloth or kitchen towel and wring the towel repeatedly until most of the moisture from the zucchini is released and place the zucchini in a large mixing bowl. Grate the carrots and the potato and add to the mixing bowl. Add the remaining ingredients and mix to combine. Add a bit more flour if the mixture is too moist. This is one of those recipes where how it feels is more important than exact amounts. In the meantime, place a medium skillet over medium/high heat and heat until hot but not smoking. Make the fritters into a patty about the size of a flattened tennis ball and drop them one by one into the hot oil. Cook until golden on one side (about2-3 minutes) and flip. Cook until golden on the other side and with a slotted spoon, remove them onto a paper towel. Continue until all the batter is used. Serve alone or with the dipping sauce.